A finishing touch has been added to the Sandusky Street side of the new county courthouse. The words Delaware County appear in bright white bold letters. Construction of the new facility is scheduled for completion Aug. 31. 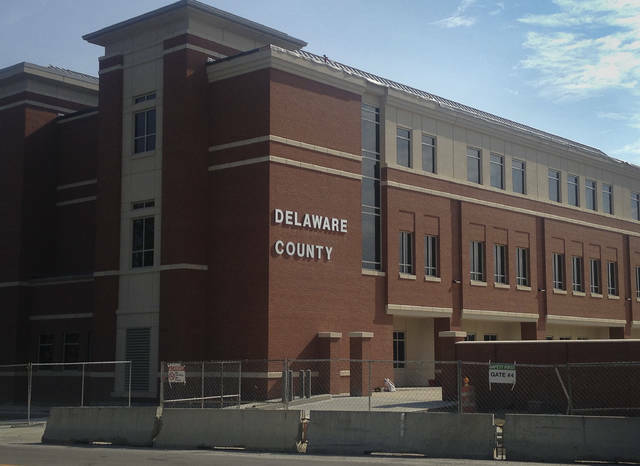 The Delaware County courts, Clerk of Courts, and other offices will begin moving into the $39.3 million building shortly after construction is finished. This entry was tagged clerk of courts, Courthouse, Courts, delaware county, judge, law enforcement, ohio, prosecutor. Bookmark the permalink.